My oldest daughter is an old hand in the kitchen. She bakes cakes and cookies, takes creative license with every package of tortillas I purchase, and even makes bread. Her homemade whipped cream is heavenly and her sausage gravy gets rave reviews from the family breakfast club. She received a cake pop maker for Christmas and ever since, we’ve enjoyed tasty little treats on a stick a couple times a week. The folks at Ulysses Press sent me a copy of Savory Bites From Your Cake Pop Maker: 75 Fun Snacks, Adorable Appetizers and Delicious Entrees by Heather Torrone. I’d barely cracked open the cookbook when it was snatched from my hands. Tasty treats soon followed, though, so I won’t complain. 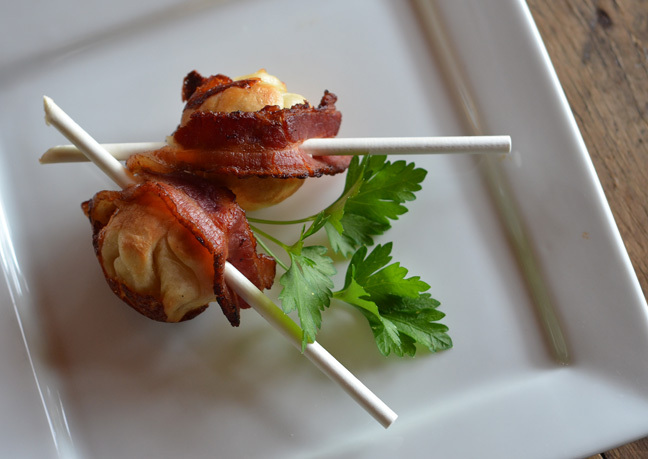 My daughter began her culinary cake pop quest with Grilled Cheese Bites wrapped in Bacon. Talk about comfort food! She served these on a particularly sweltering afternoon while the rest of us lounged around watching a Duck Dynasty marathon. 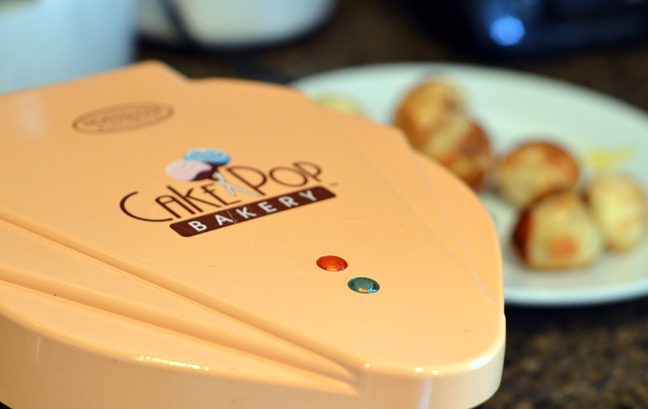 A cake pop maker works like a waffle maker. There are little round areas for dough and/or batter. You fill the spaces, close the lid and wait while the dough bakes. Spear your new little dough balls with a stick and top them as you wish. Kids will love this gadget. And if you’re planning a larger gathering with appetizers, I’d suggest the silicone cake pop pans. You can make 20 or so at a time and bake them in the oven. Need a gift for a tween, teen or anyone between 9 and 90 with an affinity for cooking? Give them a copy of Savory Bites and some cake pop tools. They’ll love it! According to my daughter we’ll soon be sampling taco poppers, Monte Cristo bites, pulled pork party bites and [YUM] mac and cheese pops.